Eddie Henderson was a formidable presence in San Francisco’s thriving fusion scene in the 1970s. Known back then as “Dr. Trumpet” (he worked part-time as a psychiatrist when not on tour with the likes of Herbie Hancock and Art Blakey), Henderson has long since given up his medical practice, but he hasn’t finished experimenting. On Collective Portrait, the fiery-toned trumpeter revisits 10 fusion classics in an intimate, small-ensemble setting. 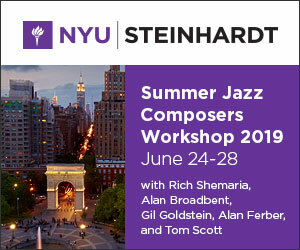 By removing these tunes from their familiar context, the musicians—Gary Bartz on alto saxophone, George Cables on piano and Fender Rhodes, Doug Weiss on bass and Carl Allen on drums—are able to freely explore the melodic aspects of the material. This is no easy task because fusion, with its high-energy vamps and complex melodies, almost beckons for electronic enhancement. But here, Henderson and his crew provide all the power needed. A new version of Cables’ “Morning Song,” originally recorded in 1979 with electric piano and electric bass, sustains a groove courtesy of Weiss’ upright acoustic bass and Cables’ bouncy left-hand piano line. 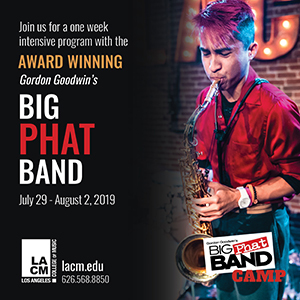 On the Woody Shaw tune “Zoltan,” it’s Allen who serves as band’s dynamo, weaving together three distinct rhythms with equal poise: a rat-a-tat shuffle, a Latin-funk groove and straightahead swing. Solo turns by each of the members provide another jolt of energy. Henderson’s take on “Beyond Forever” finds the one-time hard-bopper leaping through the upper registers of his horn, and Bartz’s blend of bebop and modal idioms on “Gingerbread Boy” floats effortlessly atop the tune’s driving swing feel. Even the album’s slower tracks—the ballads “You Know I Care,” “Together” and “Spring”—are brimming with energy, though on a quieter, more refined scale. 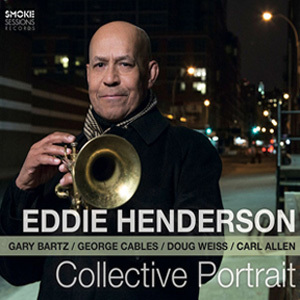 With Collective Portrait, Henderson demonstrates that in the right hands, and with the right touch, any song can become timeless. Singing should be fun. It’s a maxim that many vocalists have forgotten. There are plenty of anguished balladeers and angry, soul-bearing belters out there, but the vocal trio Duchess is a beacon of jovial esprit. The program on Duchess’ self-titled debut includes such smile-inducing treats as The Chordettes’ 1958 pop hit “Lollipop” and the Gershwins’ spoof “Blah, Blah, Blah” (heard in the 1931 film Delicious). The healthy dose of frivolity here doesn’t mean that these talented vocalists approach their task lightly; they masterfully navigate complex tempo changes and weave together close harmonies in a style rarely heard nowadays. 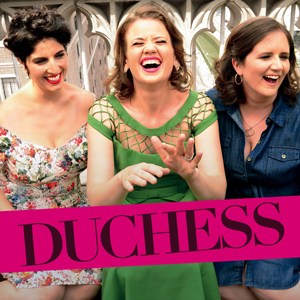 Each member of Duchess—Amy Cervini, Hilary Gardner and Melissa Stylianou—has built an acclaimed solo career in New York City. Uniting their powers as Duchess, they become a vocal dynamo. The group’s effervescent style nods to the work of the Boswell Sisters, who added intricate, unexpected turns to their close-harmony singing in the 1930s. Duchess salutes the Boswell Sisters by using their original chart for a rendition of the humorous “Heebie Jeebies” (sung by the three Boswell siblings in the 1932 movie The Big Broadcast). Throughout the program onDuchess, the singers’ expert accompaniment is provided by pianist Michael Cabe, bassist Paul Sikivie and drummer Matt Wilson. Contributing on select tracks are saxophonist Jeff Lederer and guitarist Jesse Lewis. Although a retro vibe permeates the proceedings, the musicians perform mostly new arrangements written by their producer, Oded Lev-Ari. The addition of new lyrics to the Peggy Lee composition “Love Being Here With You” highlights the vocalists’ intention to put their own spin on these tunes: “Melissa’s sweet, and Amy’s wise/ And Hilary digs all the guys/ Matt Wilson swings a great reprise/ And we love being here with you.” In a more serious vein, Duchess’ rendition of “I’ll Be Seeing You” packs an emotional punch so strong it could make an Army sergeant weep. 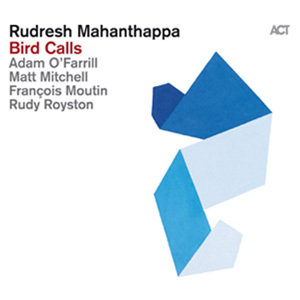 I’m a card-carrying member of the Rudresh Mahanthappa fan club, and Bird Calls—the latest album by this fantastic alto saxophonist—explains why. 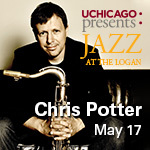 The recording honors one of Mahanthappa’s earliest and most endearing musical heroes, Charlie Parker. But rather than running through a set of Parker standards, Mahanthappa delivers a program of new tunes, each inspired by a classic Parker song or solo. “This album is not a tribute to Charlie Parker,” Mahanthappa writes in the liner notes. “It is a blissful devotion to a man who made so much possible.” Like Bird, Mahanthappa has developed a sound, attitude and musical language that is uniquely his own. 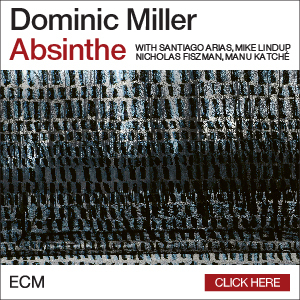 He melds the musical influences of his Indian roots with jazz that’s ultra modern. He changes things up so dramatically that you’ll be scurrying back to your Parker collection to see if there really is a Bird connection to the song. Believe me, there is. It’s fun to listen to each of Mahanthappa’s tracks next to the Parker tune that inspired it: “On The DL” next to Bird’s “Donna Lee,” or “Gopuram” next to “Steeplechase,” or “Man, Thanks For Coming” next to “Anthropology,” or “Talin Is Thinking” next to “Parker’s Mood.” Mahanthappa’s fantastic tunes certainly stand on their own, but doing an A/B comparison with Parker’s work is a blast. One key reason this project soars is that Mahanthappa assembled a terrific band for the sessions: Matt Mitchell on piano, François Moutin on bass, Rudy Royston on drums and 20-year-old Adam O’Farrill on trumpet. Some of the cooler passages here come when O’Farrill and Mahanthappa are playing rapid-fire unison lines or trading fours. They have great chemistry together. The music is great. The playing is great. But what I love most is the ambition that’s behind this recording. Mahanthappa once again has gone down the road less traveled, and he’s brought back a record that would make Charlie Parker proud. Junior Wells lives. The iconic blues singer and harmonica player passed away in 1998, but a reissue of his loose, raucous studio album Southside Blues Jam is yet another document proving that he won’t be forgotten anytime soon. Wells’ 1965 debut, Hoodoo Man Blues, is a classic blues album and a cornerstone release for Chicago’s Delmark label. That LP featured guitarist Buddy Guy, who would become a longtime collaborator with Wells (and later develop into a blues legend himself). 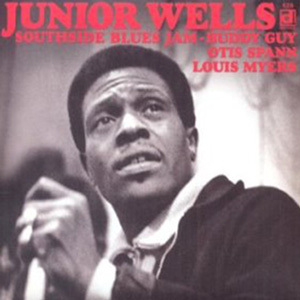 Southside Blues Jam—recorded on Dec. 30, 1969, and Jan. 8, 1970—finds Wells fronting a band that includes Guy (on eight songs), guitarist Louis Myers (on nine songs), bassist Earnest Johnson, drummer Fred Below and Blues Hall of Fame inductee Otis Spann on piano. (It would be the pianist’s final studio session before he succumbed to liver cancer on April 24, 1970.) Wells is a force of nature here, whether he’s blowing mighty riffs on harmonica, bellowing a tune, squealing like an alley cat, imitating Howlin’ Wolf’s guttural delivery on “Got To Play The Blues” or exhorting his bandmates with comments like “Preach it, brother!” The original LP contained eight tracks, but this 73-minute CD reissue adds seven more, including two snippets that are brief but juicy: “Warmin’ Up” is just over a minute long, but it showcases an exciting musical conversation between Guy and Spann, illustrating how they could push each other and generate sparks. The incidental track “Lexington Memories,” which captures casual comments and jokes between takes, shows the camaraderie these musicians shared. More substantial is the muscular, six-minute bonus track “It’s Too Late Brother.” This is an example of the classic Chicago blues sound, spiked by patter in which Wells says to his pianist, “Would you do me a favor, Spann? 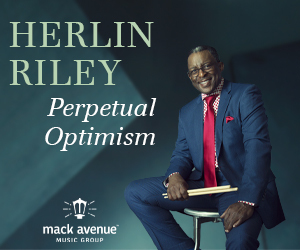 Would you get up on the bass keys and kinda rap a little bit?” Spann complies with a rumbling, rolling motif, and then Wells yelps, “Get it! Ooo, shucks! Ain’t it nice!” That’s an understatement. Guitarist Russell Malone has been a terrific accompanist to Harry Connick Jr. and Diana Krall, but it’s always a treat when he releases an album as a leader. 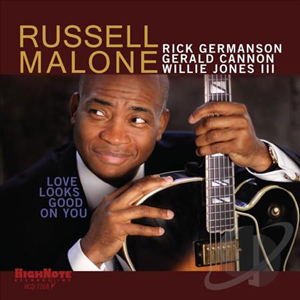 On Malone’s new disc, Love Looks Good On You, he leads an outstanding quartet with pianist Rick Germanson, bassist Gerald Cannon and drummer Willie Jones III. This superb project illustrates how Malone’s style is firmly rooted in the straightahead jazz tradition while still maintaining a modern sensibility. The album opens with “Soul Leo,” which was written by one of Malone’s former collaborators, the late pianist Mulgrew Miller. Here, Malone’s fretwork combines incredible technique with an intoxicating groove. 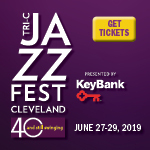 The quartet’s interpretation of Thad Jones’ “The Elder” is timeless in the best sense of the term: It’s a gem that sounds like it could have come from any number of decades. Elsewhere, the version of George Coleman’s “Amsterdam After Dark” is an example of how Malone can play hard and soft within the same tune, crafting a track that’s easily accessible but still burns. “Your Zowie Face” has a cool ’60s vibe, and “Ellie’s Love Theme” highlights the great interplay between Malone and Jones. The guitarist produced this album, and the latter track soars, thanks to a production approach that pays careful attention to space, detail and coloration. The album closes with the intricate, uptempo “Suite Sioux,” penned by Freddie Hubbard. That track, like the entire album, begs for repeated spins. Canada-born, London-based trumpeter Kenny Wheeler, who died on Sept. 18 at age 84, was a visionary musician who had a profound influence on modern jazz. A veteran of the British studio scene, Wheeler was known for his artfully constructed orchestrations, and he had a knack for crafting simple melodies that would veer off into fresh, unforeseen directions. This trademark sound pervades much of Songs For Quintet, which Wheeler recorded in December 2013 at London’s Abbey Road Studios. Melodic and lyrical, but never predictable, the nine songs that make up this excellent album typify Wheeler’s artistic approach. His playing here is cautious and deliberate. There are no shrieking high notes or incendiary lines. Wheeler specialized in nuance: the beauty of a repeated phrase, the complexities of a sustained note, the gravity of a long pause. 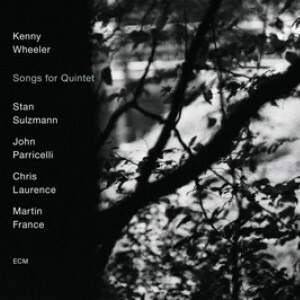 Wheeler’s bandmates on Songs For Quintet are keen on sharing his sensibility. 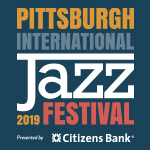 Tenor saxophonist Stan Sulzmann’s velvety lines on “Pretty Liddle Waltz” provide the perfect counterpart to Wheeler’s hushed, introspective solo. Guitarist John Parricelli, the mastermind behind the album’s serene sonic landscape, demonstrates superb discretion with his comping on the dark, meandering “Seventy-Six.” Bassist Chris Laurence’s warm, resonant tone sings throughout “Canter No. 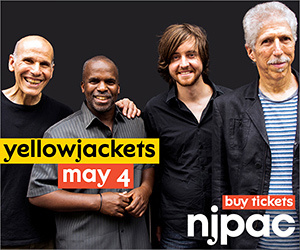 1,” and drummer Martin France creates bright, vivid layers with meticulous time on “Sly Eyes.” Wheeler’s tone may have lost some of its luster and strength toward the end of his career, but the lack of volume doesn’t prevent the legendary trumpeter’s gentle voice from coming through loud and clear. It is a voice that will be sorely missed. 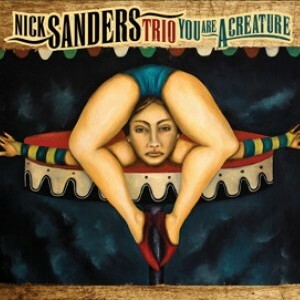 With You Are A Creature, New Orleans-born pianist Nick Sanders delivers a savvy, captivating second album. Across 12 original compositions and one Ornette Coleman cover, Sanders demonstrates a musical intellect that is wise beyond his years. 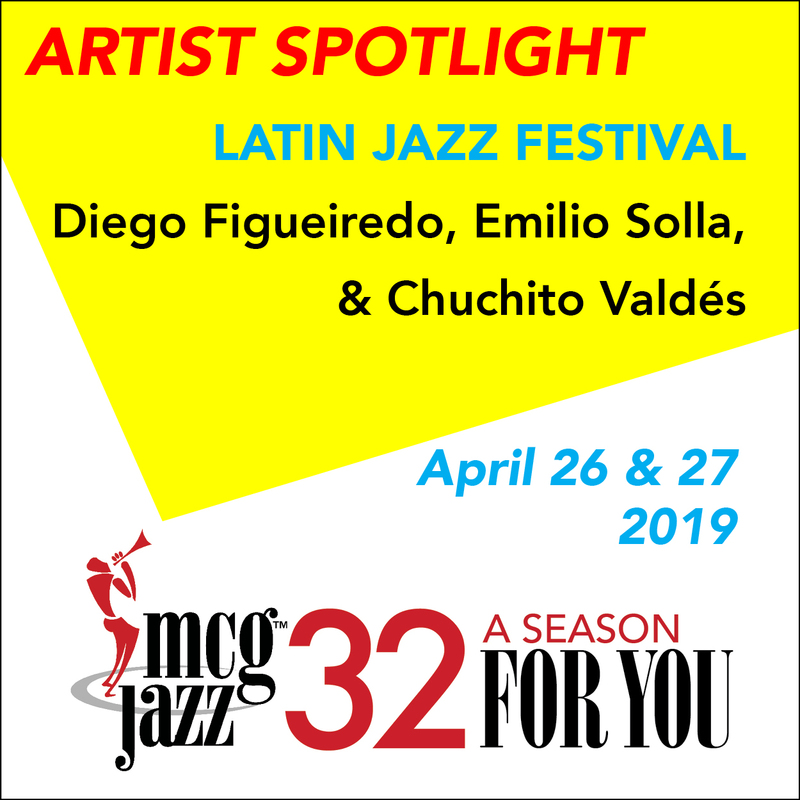 Entertaining enough to catch your ear, and intelligent enough to tickle your mind, this recording is the sound of a stellar young musician carving out a unique place for himself in today’s jazz scene. Lean, acrobatic and endlessly inventive, Sanders’ style abounds with unexpected phrases and surprising flourishes—the kind of playing that never sits still. On the hypnotic opener, “Let’s Start,” leaping, circular patterns dominate the sonic tableau. On the hymn-like “Keep On The Watch,” rumbling left-hand rhythms provide the spark. As a soloist, Sanders is a mad genius—hauntingly melodic and utterly unpredictable. Just when you think you’ve mapped his trajectory, he’s gone in a new direction, spinning off fresh, unconventional phrases. His bandmates prove equally imaginative. On drums, Connor Baker is thoughtful and judicious. He demonstrates a particularly deft touch on the stirring ballad “Room” and adds just the right amount of sizzle to the ambitious title track. 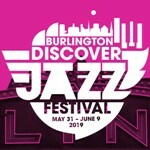 Bassist Henry Fraser is an adroit and melodically minded player, offering up sweeping arco lines on “Zora The Cat” and vigorous pizzicato runs on “Repeater.” The three lock into a watertight swing groove on Coleman’s “The Blessing,” closing out the album on a note of convivial harmony. Expect big things from this young trio. 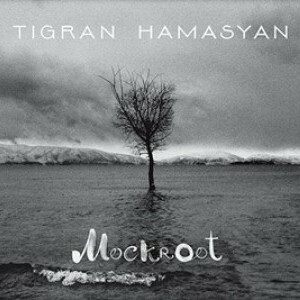 The commanding pianist Tigran Hamasyan, 27, displays remarkable versatility as a composer on his new album, Mockroot, showcasing a range of emotions across 12 original compositions. Some—like “Double-Faced,” “To Negate” and “Entertain Me”—are raw and explosive, flickering with intensity. Others—such as “To Love” and “Lilac”—are delicate and sincere. “The Roads That Bring Me Closer To You” unfurls with a deep sense of longing, and the multi-textured “Song For Melan And Rafik” exudes power and poise. Few pianists today could have made an album of such ambitious scope and inspired vision. But for the immensely talented Hamasyan, it seems to have come naturally. His use of synths and sound effects (as on the mesmerizing “Kars 1”) suggests inspiration from electronic dance music, hip-hop and indie rock, while his delicate touch on the keyboard on tracks like “Kars 2 (Wounds Of The Centuries)” hints at classical roots. On “Out Of The Grid,” his piano voicings and block chords are pure jazz, and his undulating melodies and percussive interludes call to mind the folk music of his native Armenia. Mockroot is something of a sonic collage, a piece of art that gets better the more time you spend with it. There’s an easy beauty in the music of George Garzone. He is a saxophonist of monstrous chops and equally monstrous taste. Both are on display onCrescent, released by the Jazz Hang label. Joined by Leo Genovese on piano and Esperanza Spalding on bass, this is a casual trio project where everyone digs in for a good time. 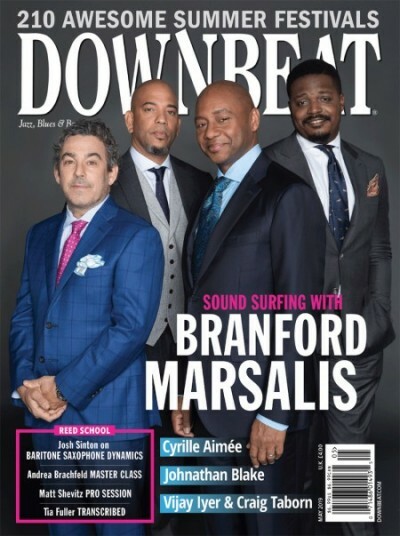 The recording session was a bit of a Berklee College of Music reunion: Genovese and Spalding, both former Berklee students, became bandmates with Garzone, a professor there. Genovese and Spalding have a great rapport, which has developed during the years he has spent in her band. And here, all three musicians have amazing chemistry. The opening tune, “The Girl From Argentina,” is a beautiful, Latin-inspired ballad with a great, tongue-in-cheek title. The tune glides with Garzone delivering just the right tone on tenor, playing with and against Spalding’s lovely vocalese. 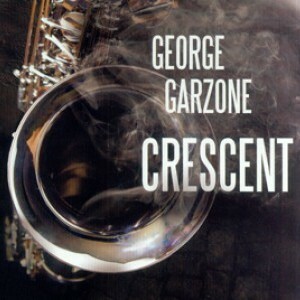 Garzone’s “Hey Open Up” and John Coltrane’s “Crescent” both reflect Trane’s influence on Garzone’s music. On “Hey Open Up,” Garzone opens up with rapid firing and then turns it over to Spalding, who rips her solo. (For those who have thought of Spalding only as a singer fronting her own bands, think again. She is a bassist of the highest caliber, and a collaborator who adds something valuable to every set she plays.) Genovese completes the cycle with a blistering work of his own as Spalding walks the bass line. And Garzone takes it to the outro with precision and bliss. The title track features a big, beautiful sound from Garzone’s tenor with Genovese racing across the piano keys with jaw-dropping chops, power and sheer beauty. From there, the trio drops into sweet renditions of “Like Someone To Love” and “I Want To Talk About You.” Both tunes, and the entire album, demonstrate amazing artistry coupled with a kindred spirit that is infectious.